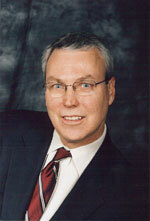 John A. Ruemenapp is a commercial/business litigator. For over 20 years, he has focused his practice in several areas of litigation that include real estate and construction, trade secrets and restrictive covenants, contract disputes (including those under the Uniform Commercial Code), shareholder rights, tax litigation, debtor-creditors rights, and employment disputes. Mr. Ruemenapp is particularly adept at analyzing situations and formulating and achieving practical, innovative and effective solutions that satisfy clients’ goals. Mr. Ruemenapp is a 1979 graduate of the University of Michigan and a 1982 graduate of Wayne State University Law School and a member of the Michigan and Oakland County Bar Associations. He is admitted to and has practiced before Michigan trial and appellate courts, the Michigan Supreme Court, the United States District Court for the Eastern and Western Districts of Michigan, the United States Tax Court and the Sixth Circuit Court of Appeals. Secured substantial recoveries for businesses that were subjected to embezzlement by dishonest employees and/or agents.